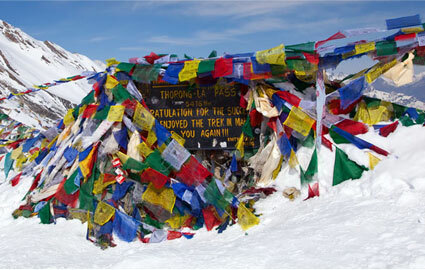 Home » Blog » Annapurna Circuit trekking route. Annapurna is a massif Himalayas in north-central that includes one peak over 8,000 meters (26,000 ft), thirteen peaks over 7,000 meters (23,000 ft), and sixteen more over 6,000 meters (20,000 ft).The massif is 55 kilometers (34 mi) long, and is bounded by the Kali Gandaki Gorge on the west, the Marshyangdi River on the north and east, and by Pokhara Valley on the south. At the western end the massif encloses a high basin called the Annapurna Sanctuary ,Annapurna I Main is the tenth highest mountain in the world at 8,091 meters (26,545 ft) above sea level. The entire massif and surrounding area are protected within the 7,629 square kilometers (2,946 sq mi) The Annapurna Conservation Area which is first and largest conservation area in Nepal. The Annapurna Conservation Area is home to several including the Annapurna Circuit trekking route. The Annapurna rise in the heart of Himalayas. They may not are the tallest Himalayas but they are from the center core of the great Himalayan. Called Annapurna Circuit trekking route it is a trail that is among the fascination and popular trekking in the world. Trekking one through an amazing diversity of tradition and culture. From lush green foothills with pretty traces and picturesque. Gorkha village to barren, Tibet like landscape. Doing your trek in Annapurna Circuit trekking route. 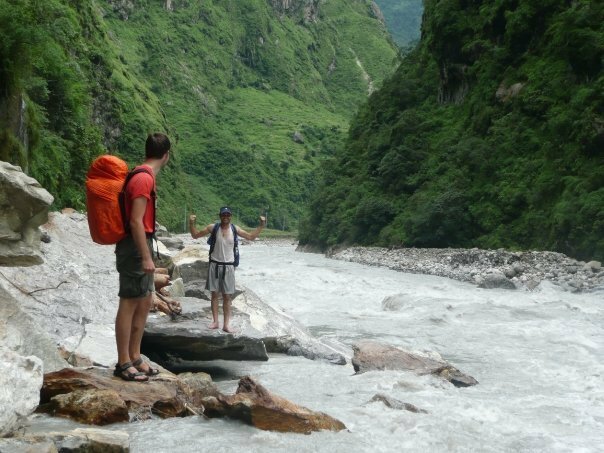 Annapurna Circuit trekking route start from as anti clockwise which is common for the trekkers, The trail follows the Marshyangdi river upstream, gaining altitude gradually as you travel north through Lamjung district. After Ghermu the trail crosses over to the left bank and ascends through a narrow gorge that extends for 25 KM up to Place called Bagarchap. In Lower Manang districts. At Manang Village which you eventually reach a day rest fir acclimatization is needed before the onward trek to the Throng-la pass ( 5426 M) the highest point of the trail. From Phedi ableak chiily places at the base of the pass, It is a rater step climb to Throng –la and a very long decen to Muktinath, This is the most strenuous parts of the entire trek and snow is not unusual here, Muktinath with is cluster of temples which is a place of pilgrimages for Hindus and Buddhist. Descending from here to Kagbani the trail turn south following the broad river bed of the Kaligandaki downstream Jomhsom a days walkway is a Large village with an airport from where trekkers also can directly fly back to pokhara. Passing village like Tukche and Dana that were once great center of Tibetan salt trade between Ghasa and Dana, The trail woks its way through a narrow gorge and passed a great water falls reaching Tatopni ( hot Spring ) you have an option of Carrying on to beg Khola and then to Beni and Pokhara by Vehicle or climbing to Ghorepani. 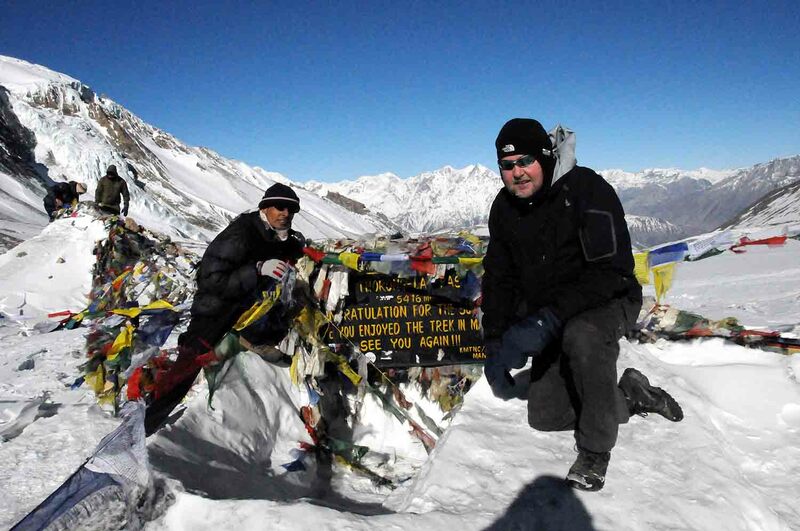 Offered by Annapurna Circuit Trekking route. The Annapurna Panorama beside the lake there rising amidst a seemingly tropical landscape is simply too stunning to believe. The snow caped summits become even more spectacular. Of course , as you close in on them in the trek, but it is not just the soaring peak that are striking. The lower slopes , green in the south, rugged and brown in the rain shadows Manang and Mustang regions are amazing in their divers beauty. Around villages the terraced fields multilayered mosaics of green and their divers beauty. Around Villages, the terraced fields, multilayered mosaics of green and yellow patches cut in often steps hill sides,, charm every visitors. Away from villages , the slpoes and are often forested, dark and deep. As trails thread through cavernous gorges. Waterfalls cascade down the hillsides, the roaring river snakes far bellow, In the higher mountains, pine and fir replace tropical vegetation but bamboo thickets continue to sprout. Rhododendron trees appear in spring and summer, their flowers set the forest ablaze. Higher up, above 3500 MTRs birches and juniper take over, before finally giving way to alpine scrub. In the rain shadows belt, the the mountain are bare and brown as well as craggy cliffs, with jagged, edges wrinkled sides are revealed with our the green cover, the slopes show their many hues for ash brown to yellow and purple. The stone built flat roof village houses blamed with the harsh terrain. It is a landscape that is entirely Tibetan and so indeed is the culture here. Women dress in the fashion of Tibet, Lamas, pray in Gompas, yaks garage in high pastures in the lower hill in the south, there are no yaks, most villagers own buffalos , cows and goats, ducks, hens that range free. The houses here are mostly roof with slate and have sundrenched front courtyards. Corns cubs hang out from balconies to dry. In the terrace field plugs are driven by oxen and harvesting is done by hand. Mules and donkeys serve as packed animals and on the trails. Your often have to stand a side for the caravans as they rush pasts, driven by whistling muleteers. It is indeed an amazing amalgam of Himalayan sides and sound like that you experience on the Annapurna circuits trekking trail. The best season to hike on the Annapurna Circuit trekking route. 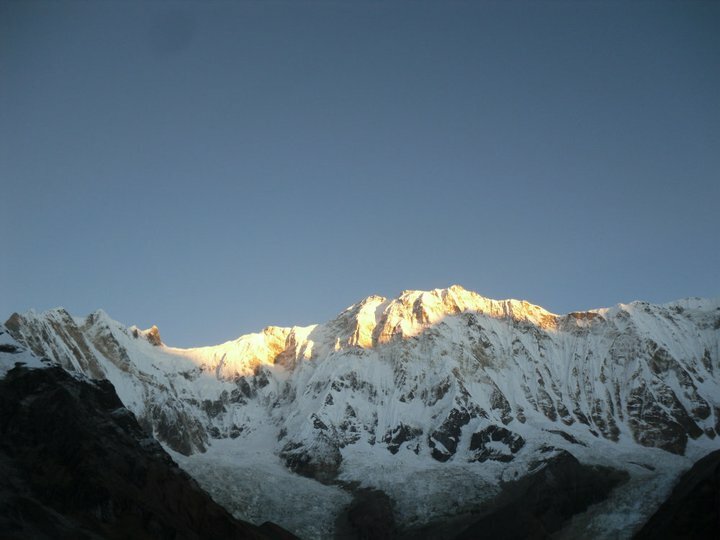 The best season to the Annapurna circuit trekking trekking route are spring and Autumn. The leaves the periods March-May and October –Decembers most suitable for trekking. In Particulr , April, October and November –More so November are the best month for the trekking with mostly fine weather , clear mountain views and mild temperatures. The downside: those are also the month with the heaviest tourist traffic. Conclusion of Annapurna circuit trekking route. The Annapurna circuit trekking route is among the longest and most popular trekking route in the Himalayas. Circuling the great Annapurna range , the trail works it way from the Marshynagdi to the Kaligandaki valley, crossing the 5416 MTRS / 17768 FT thring-la pass. It is hazardous crossing the the pass often snow coverd and usully very windy is the highest on the trek. The pass apart , the trek is not very demanding despite its great length. The trails are mostly bridle paths and rarely very steps. What we bring for the Annapurna circuit trekking route ? Rough Itinerary for the Annapurna circuit trekking route. Day 01: Drive to Bulbule (923m). Day 02: Bulbule to Chyamje (1400m). Day 03: Chyamje to Bagarchhap (2160m). Day 04: Bagarchhap to Chame (2630m). Day 06: Pisang to Manang (3500m). Day 07: Acclimatization day in Manang. Day 08: Manang to Ledar (4250m). Day 09: Ledar to Pedi or High camp (4,600m). Day 10: Phedi to Mukti Nath (3,710m). Day 11: Mukti Nath to Jomsom (2750m) Via Kagbeni. Day 12: Jomsom drive to Tatopani(1190) Natural hot spring. Day 13: Trek down to Ghorepani (1,200m). Day 14: Trek to Poonhill – trek down to Ghorepani and Nayapul – back to Pokhara.